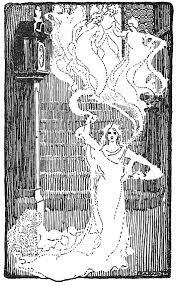 The death of Sarah Birkbeck in 1740 was one of the best authenticated ghost stories. She had been on a tour in Scotland for three weeks with her friends, leaving her four children at Settle with their father and a cousin named Mrs. Fairbank. On her way home she was taken ill very suddenly at Cockermouth. One morning between seven and eight o'clock, Mrs. Fairbank went into the children’s room at Settle and found them all sitting up in their beds in great delight. "Mamma has been here”, they cried, and Esther, the youngest child, said, “She called, ‘Come, Esther’”. No news of Sarah Birkbeck’s illness had yet reached Settle, but that same morning she lay dying in Cockermouth. The friends who were nursing her heard her say, "I should be ready to go if I could but see my children". She closed her eyes, and after ten minutes of perfect stillness said, “I am ready now, I have been with my children”. It was afterwards proved that this occurred at precisely the same time when the children saw their mother in Settle. How Sarah did this is unknown, but shows how strong a mothers bond is with her children. 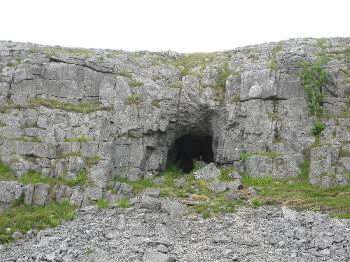 Cave Ha can be reached from the layby on the right just before the road from Settle joins the A65 bypass.It is a huge and spectacular rock shelter and both animal and human remains have been found there. Hollowed out of a massive cliff of Great Scar limestone, it is probably one half of what was once a great cave chamber fed by a waterfall from above - the other half having been cut back by erosion of the scar, lying as it does as an exposure of the South Craven Fault. No-one knows how the shelter acquired its unusual name, though plenty of early writers were interested in it. As with many caves and shelters, a massive amount of material has been dug out of Cave Ha, such as brooches, needles and other everyday items, but the most interesting of all was a mixture of human bones, which can be found today in Craven Museum, Skipton. The bones had been smashed before storage to access the marrow inside - indicating cannibalism or sacred rituals on the site. The bones are estimated to be5600 years old. For many years it’s been a place of fear, and reports of strange voices and cries can often be heard. However, it’s not only the ghosts you need to be afraid of! Local legend has it that there is a bogard who roams around the area and is often seen moving around near the cave entrance. The recorded folklore of Boggarts is remarkably varied as to their appearance and size. Many are described as relatively human-like in form, though usually uncouth, very ugly and often with bestial attributes. 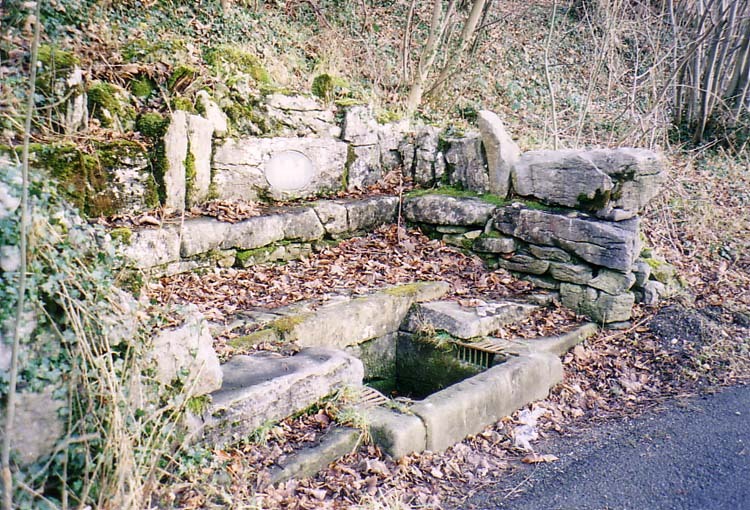 The well is situated at the foot of Giggleswick Scar beside the road which runs from Settle to Clapham, and 1 mile west of Giggleswick. The water of this celebrated well periodically ebbs and flows, at times brimming over to run across the road, yet at other times its at least 8 feet below the edge of the stone trough that it runs. There are two legends attached to the well and a stained- glass window in the nearby church of St Alkelda, Giggleswick depicts possible 'sacrifices' at the well. The legend behind this tells how a nymph was being chased by a satyr who was overcome with lust. The nymph prayed to the gods and was saved by being turned into a well - famous for healing. The only thing that remained of the nymph was her eternal breath that causes the well to ebb and flow like the tides. The second legend is that the spirit of this well gave to Ben Nevison, the highwayman, a magic bridle which, when he was chased, allowed him to perform extraordinary feats to evade capture, one of which was to leap on horseback across the awe-inspiring chasm of Hell Gill. Until recently the tradition of mixing the well water with liquorice and shaking them together in a bottle to be drunk on Easter Sunday was still carried on by children and young people. Her beauties noting well, her features, and her frame. A stone head in the fabric of Giggleswick church is depicted as emerging from waves. Whether this connects with the ancient tradition of placing stone heads (and skulls) in wells is uncertain. A sad footnote is that, since certain people dug out the well some years ago, in order to find out the reason for its ebb and flow, the rhythm of this phenomenon has almost ceased, even though the fabric of the well was supposedly replaced exactly as it was before. The ebbing and flowing well: legend tells how a nymph was being chased by a satyr who was overcome with lust. The nymph prayed to the gods and was saved by being turned into a well - famous for healing. 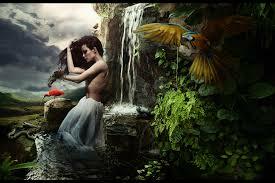 The only thing that remained of the nymph was her eternal breath that causes the well to ebb and flow like the tides. The well is also the place where the horse of a famous local highwayman called John Neviston drank, giving it the power to leap over a cliff top, now called Nevison's leap, during a daring escape.